Your Divorce is Final. Have You Revised Your Estate Plan? | Melone Law, P.C. Your Divorce is Final. Have You Revised Your Estate Plan? Home Living Wills Your Divorce is Final. Have You Revised Your Estate Plan? Your divorce is final, assets have been divided, child support, custody, and spousal support have been determined, and you’re ready to move forward with your life. But you’re not quite done yet. The final step in your divorce is an appointment with your estate planning attorney. The estate plan you created with your ex-spouse during your marriage needs to be revised and updated with new estate planning documents. If you do not update and revise your estate plan, your ex-spouse or even your ex-spouse’s new husband or wife and children may inherit your assets. During your marriage, you cannot disinherit your spouse through a will. After divorce, the best way to revise a will is to simply execute a new will, and revoke your old will. This can easily be done by shredding or burning it, or by stating in the new will that you are revoking all prior wills. Making a new will ensures that your current wishes are reflected. This includes the persons or entities you wish to receive your estate, the person you wish to be the executor of your estate, and most importantly, the person you choose to be the guardian of your minor children and their property. If you die and your ex-spouse is still alive, in all likelihood your ex-spouse will be awarded custody of your minor children. If both parents are deceased, or the surviving parent is determined to be unfit, the court will appoint a guardian. Though the court is not required to follow your guardianship choice, it most often will do so. If you have sole custody of your children, and don’t want your ex-spouse to have custody if you die, you need to put your reasons in writing and attach that statement to your will for a judge to consider. As with a will, it is best to create a new revocable living trust after your divorce. Minor children can be beneficiaries of the new trust, and your ex-spouse can be prevented from controlling their assets if you wish. You can designate the new trust to be the beneficiary of various assets, such as pay-on-death bank accounts, transfer-on-death brokerage accounts, and life insurance policies. Even IRAs, 401(k)s, 403(b)s, and pensions can designate the trust as beneficiary, but there may be tax ramifications that you should discuss with your accountant and estate planning attorney. If the divorce decree allows one party to remain in the family home, a trust may be used to shelter the property from creditors or a future spouse. Depending upon your circumstances and goals, it may be necessary to set up more than one trust. Your spouse is probably designated as the beneficiary on your various bank and other financial accounts, life insurance policies, retirement and pension plans and social security benefits. You will need to change the designation of such beneficiaries, or else those assets will pass automatically to your former spouse by operation of law and outside of your estate plan. As discussed above, if you are setting up a new living trust, you may want to name the trust as the beneficiary, especially if you have minor children. Otherwise, a beneficiary who is a minor will need a trustee or conservator to manage their inheritance, and the court may appoint your ex-spouse. To make a beneficiary change you will need to obtain the necessary forms from your financial institutions, brokerage firm, or employer. A financial power of attorney can give your agent broad powers, such as to sell your property and remove funds from your financial accounts. If you have appointed your spouse as your agent on any financial power of attorney, you should immediately execute a document revoking it and deliver a copy to all of your financial institutions. This may be done even while your divorce case is still pending. If you determine it is necessary, you can execute a new power of attorney appointing another trusted person as your agent. 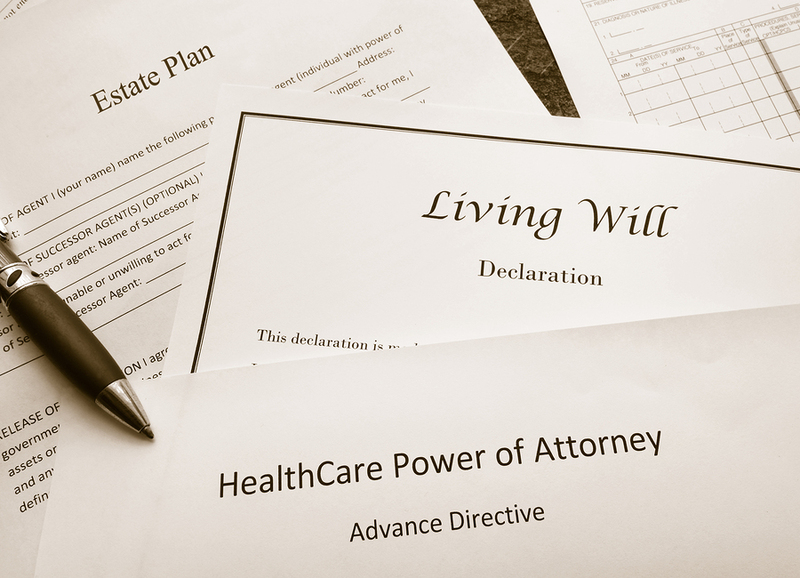 If you have a health care advance medical directive or living will, you probably appointed your spouse to make medical treatment decisions for you when you are unable. It is best if you revoke the document and execute new health care directives appointing a trusted person as your agent. Again, this can be done while your divorce case is still pending. Your health care providers should be notified of the change and given a copy of the new document for your file. Sometimes divorced couples remain friends and continue to trust each other on various matters. Nothing prevents you from leaving a gift to your ex-spouse in your will, or designating him or her as your beneficiary, your agent in a power of attorney, or custodian of minor children. The important thing to remember is that you should discuss your estate plan with an experienced Virginia estate planning attorney who will help you re-evaluate your plan, prepare and execute new documents, and make sure that your estate plan is complete and nothing has fallen through the cracks. This should be done as soon as possible to protect yourself as well as minor children. We know from experience that a successful attorney-client relationship depends on our ability to understand your needs and objectives. 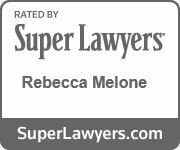 For more information about divorce and our estate planning services, contact our office today at 703.995.9900 or visit our website: www.MeloneLawPC.com.